larger than three units only if space permits. £1 discount per unit for three insertions if booked and paid in advance. £5 surcharge for a specific page. Space is limited and Nailsworth advertisers take priority. 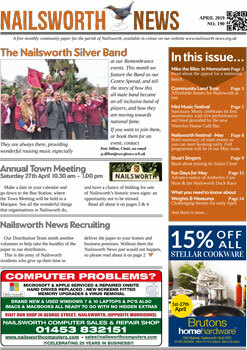 Payment in advance, please; cheques to Nailsworth News.